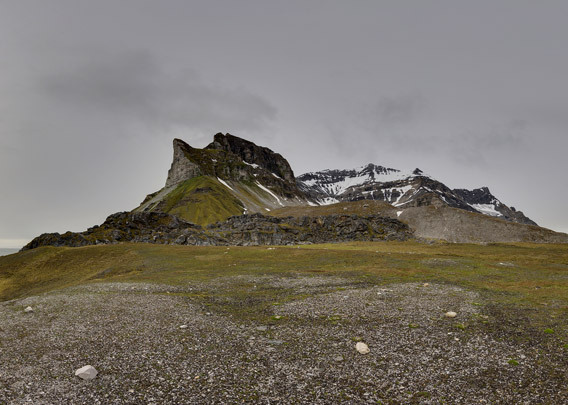 The mountain corner Alkhornet is towering 617 metres high on the northern side of the entrance to Isfjord, marking the smaller side bay of Trygghamna. 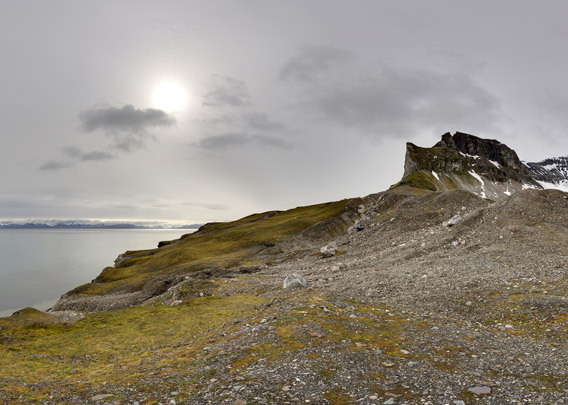 Thousands of kittywakes and Brünnich’s guillemots are breeding on the steep cliffs, fertilizing the tundra, which is accordingly rich and green. Reindeer and polar fox are thriving there. 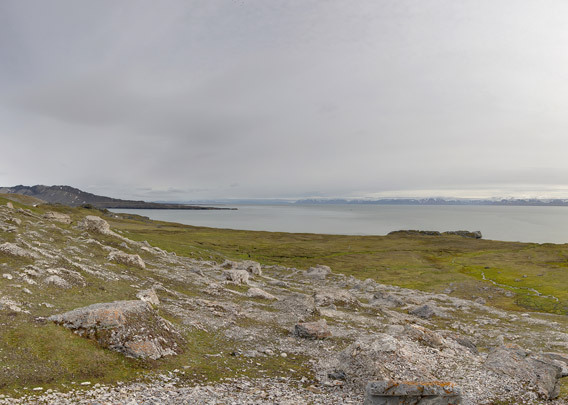 The classical ecology of the high arctic tundra, which is fertile only if nutrition is provided by the sea, within a few hundred metres. Almost in a nutshell.